Pudding is a quick and easy dessert to make and there are some tips to ensure that it comes out right and tasty every time. This is a guide about pudding tips and tricks. 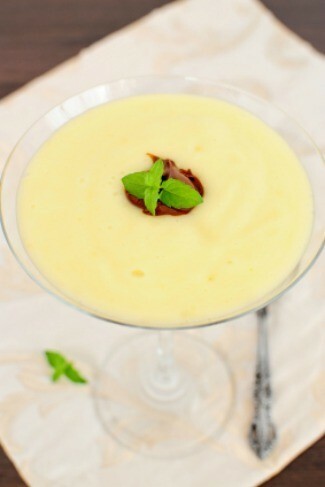 For creamier better tasting instant pudding use a can of evaporated milk instead of 2 cups of regular milk. If you are cutting calories you can add fat-free evaporated milk. At my grocery store a can of evaporated milk is 50 cents. To keep chocolate pudding from turning dark, add a small amount of coffee. I am not a fan of instant or even cook 'n serve chocolate pudding. But I have found a way to make a very easy, very rich shortcut version of homemade. I tried making some Jello brand instant pudding, and instead of whole milk I used non-fat milk. I also used 1 1/2 cups of milk instead of the suggested 2 cups of milk. It turned out extremely runny, and I had to throw it out. Why did this happen? I have previously used reduced fat milk without encountering this problem. I always make it with fat free milk or 1 percent because that's all I every buy. Now, did you stir until firm? It's been a while since I've made some, but I've always followed the directions to the letter and I've never experienced a problem. The key is to keep stirring until somewhat firm and then refrigerate. If you had followed all the directions according to the box and it still failed; you could contact the company directly for possible refunds/coupons for more of their products. Maybe you didn't mix it long enough? I usually put milk and pudding in a tupperware bowl and shake it until set. It needs to set awhile to get thick. There should have been no problem with using fat free milk. I once bought the "cook it" mix by mistake, and thought I was mixing up an instant kind. The runny consistancy is what happened to me. Maybe that is what happened to you? They are right next to each other at the store and sometimes people will move them around. Not sure if you catch your mistake and cook it down if it will save the pudding or not. I always use the powdered dry milk and a whisk until no longer lumpy and it always turns out good. I to use the fat free or 1 percent and also did you use a mixer too. Also if the directions say 2 cups than use 2 cups too. Also I sometimes buy things without noticing what I brought. It could have been the cooked time and did you put it in the fridge to set. I just made strawberry cream for valentine's day and it turned out fine too. I just remembered that mine was a bit runny until I used the mixer for a couple of minutes and then put it in the fridge. if u use fat free milk u need to use less milk so that the mixture is thick.. if is 2 cups use 1 1/2..